Friday, October 13 at 8:00 p.m. 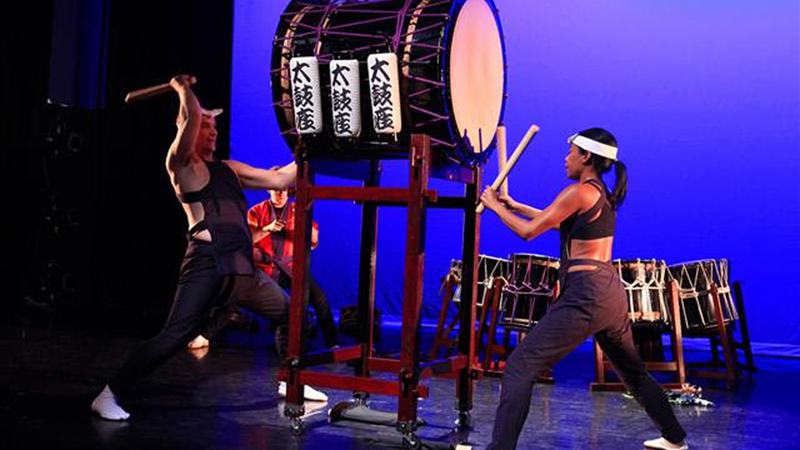 Experience the raw energy of Taikoza music. Under Musical Director Marco Lienhard, Taikoza has created a new sound using the thunderous rhythms of ancestral Taiko drums and the magical sounds of bamboo flutes. This exciting group draws from Japan’s rich tradition of music and performance to create a highly visual performance featuring three-foot drums and 200-pound drums. Joining the event is guest performer Masayo Ishigure on Koto. Rediscover what the art of Taiko is about. This is a unique experience of the art of Taiko drumming taken to its peak. 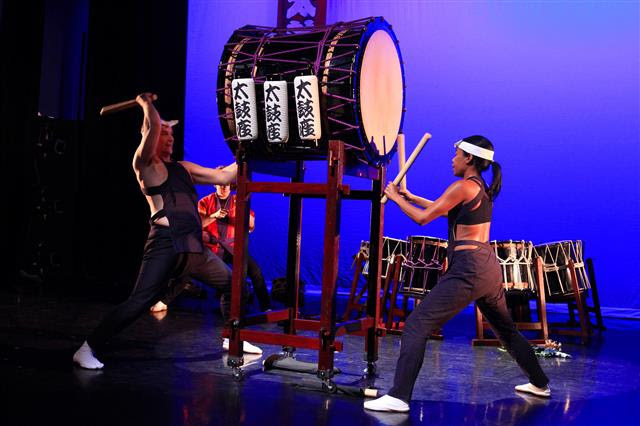 Taikoza was formed in New York City by members of Ondekoza, a group that started the renaissance of taiko in Japan in the 1960s and introduced Taiko to the world. The members of Taikoza have performed worldwide in some of the most prestigious locations such as Carnegie Hall, Boston Symphony Hall, Suntory Hall, Moscow’s Tchaikovsky Hall and House of Music, Osaka Festival Hall, Lincoln Center, Mount Fuji, Miyajima Temple in Hiroshima, Peace Memorial Hall in Hiroshima and many others. For more information and to purchase tickets please visit Taikoza’s website or call 866.811.4111.